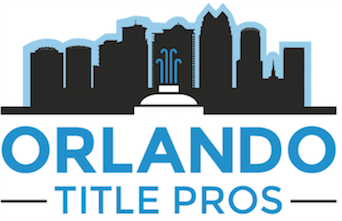 To understand title policy insurance in America, let’s look at chain-of-title and how title companies search the public records. Title insurance companies aren’t really concerned with where dinosaurs once roamed, whether our ancestors trekked across the Bering Straight or where American Indian tribes settled. Title searches begin with when the United States government stole the land, I mean claimed it — from the U. S. patent — and move forward from that point. Because humans are involved in recording deed transfers and plotting land parcels, a lot can go wrong. You want title insurance because it will protect you against defects and human error. * Property transfers were first recorded alphabetically in separate Grantor and Grantee books. * The books are heavy to lift and dusty. * County records are often maintained at local courthouses or the Clerk of Registrars. * Today, most records are stored on the computer. * Early deeds involved large chunks of land known as Townships. * Townships contain 36 sections and are six miles by six miles. * Sections measure one mile by one mile and contain 640 acres. * Half of a section is 320 acres. * 1/4 of a section is 160 acres. * 1/4 section of 1/4 section is 40 acres. * Title searches start with the most recent deed, searching the grantee’s name (the person now holding title) backwards in time, until the deed when the grantee acquired the property is located. * That grantor’s name is then searched backwards in time in the grantee’s book to find when the grantor acquired title as a grantee. * This process continues, and over time, the property description involves larger and larger parcels of land. * Eventually, the searcher finds the U. S. Patent. Depending on the title company, consumers can choose among a variety of options, but the top three choices are Owners, Lender’s and Extended Coverage. Who Pays For Title Policy Insurance? * This depends on your local custom. * It can differ from county to county, but it is also negotiable in the purchase offer. * Sometimes sellers and buyers split the fee for the owner’s policy. * Typically, the buyer pays for the lender’s coverage. How Long Are Title Policies Good For? Forever, theoretically. If you are planning to resell the property within a couple years, ask your title company about “binder” coverage. Most companies will sell you a binder policy for 10% more. A binder is good for two years, often can be extended beyond that time, and the fee charged for the new buyer’s policy will be the difference between what you bought the property for and the price at which it sold. In other words, you will get a credit for the amount of coverage you purchased under your own Owner’s Title policy. How Often Are Title Policy Insurance Premiums Paid? Once. The fee is due when you buy. You will never pay it again. Title policy insurance is the best insurance policy you can ever buy. What is Title Insurance?Are You A First Time Home Buyer?